Elijah Corbett was a blacksmith who purchased this land from Nahum Warren and built this handsome home. 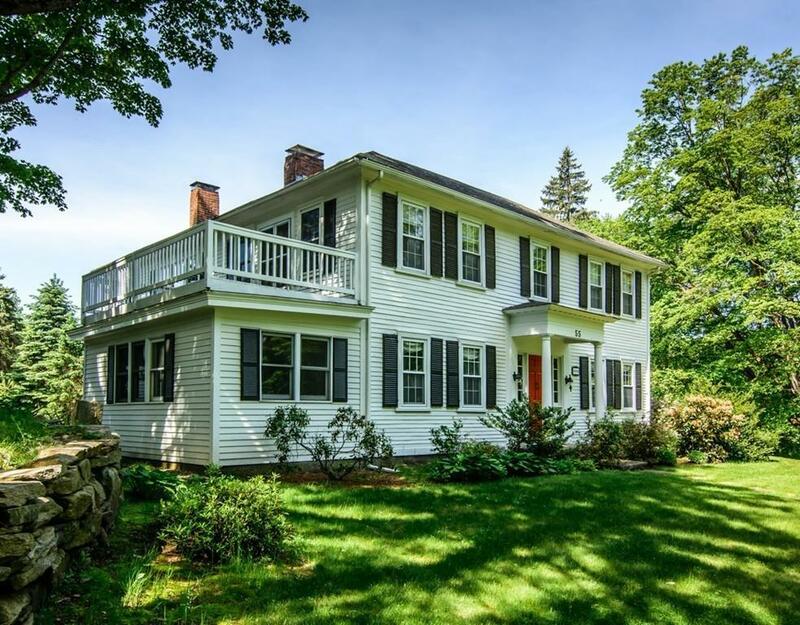 It is one of Westboroughâs oldest remaining houses dating back to 1740. The Federal style colonial was added in 1796. The property has had many noteworthy residents including Admiral James Arnold (who served in both World Wars) along with Bertis Adams who maintained a gentlemanâs farm here with cattle until 1995. Charm flows around every nook and cranny. Hardwood floors spread across most of the home. Numerous fireplaces add to the cozy ambiance of this preserved antique. A country kitchen with cherry cabinets and stainless steel appliances opens to an inviting gathering room overlooking a patio. A useful outbuilding offers ample storage for vehicles and more. The property grounds offer stunning views of sunsets and colorful maple trees ripe for tapping syrup. A sweet taste of the good life with historic roots reaching back through time to the early days of Westborough.